Scattered between the coast of mainland Greece and the tip of Northern Africa, the Greek Islands have been popular holiday destinations for a wide range of holidaymakers. The Greek Islands are dotted throughout the Aegean Sea, mainly off the south-east of mainland Greece. They come in many shapes, sizes and geographical varieties and the people that visit them are as varied as the islands themselves. Whilst you can move between the islands, most people choose to stay on just one for the duration of their holiday. The islands are traditionally divided into seven groups: Cyclades, Aegean, Dodecanese, Sporades, Ionian, Argosaronic Gulf and Crete which, as a single island, is the largest in the group. Try a Greek Island holiday with a difference by choosing a boutique hotel. You can’t beat the individuality of these small, intimate hotels where detail is a primary consideration and the needs of the guest always come first. Try Elounda Gulf Villas and Suites on Crete, Katikies on Santorini and Ostraco Suites on Mykonos. These are all unique places to stay, offering the ultimate in quiet understated luxury. For most people, the attraction of the Greek Islands is the beaches. The quality and size of the beaches vary from island to island, as does the level of development in the main resorts. The sheer number of islands means that you can usually find exactly what you’re looking for; whether it’s 24-hour entertainment or a quiet relaxing break. For those that want to explore the islands’ culture, there are plenty of historical buildings, traditional villages and museums to visit. You can get to some of the islands such as Mykonos and Santorini by air, but most of the other islands are reached by ferry from Athens. The ferries are regular and there are ticket operators at the harbors, so you can also use them to visit other islands during your stay. To get around an island, you can hire a car or a bike, or use the local bus system. There are no train services once you’re off the mainland. If you’re feeling especially adventurous, hire a sailing boat and navigate your own way around the islands. “Glorious Bali Island” – that’s the official motto of this paradise island, well known to the entire world since World War II. Bali is the most famous tourist destination of Indonesia and preferred location for sun lovers from the west, so undoubtedly the next choice of www.travelonguide.com had to be Bali. Beach lovers can have a wonderful time in Bali, since daytime, they could enjoy the sun and at night enjoy the dances and cultural shows on the beach. On a full moon day, the Balinese people organize special beach games…. and guess what even a funeral is a procession and an event where people enjoy themselves. Opt for a candlelight beach dinner and we guarantee you that the experience will be something that you will cherish throughout your life, the Balinese dancers and singers will add icing to this special moment. If you are planning your trip to Bali, then it is best to have some information about its climatic conditions. Since Bali has a tropical climate, the temperature throughout the year is not more than 26 degrees Celsius. The dry season starts from April till September and the wet season from October till March, and the best time to be there is from May to August when the sun shines bright and the uninvited drizzle keeps the climate cool. Watersports lovers just should miss this place. Bali offers world-class scuba diving experience, there are special schools where one could learn scuba diving. The coral reefs are purely untouched and display a wide range of sea life, never seen before even on Discovery Channel. If you like to see the corals, then make sure that you take a trip to Nusa Penida. This beach also offers various other water sports options. For people who are more adventurous, can go rafting in the Ayung river or try some mountain cycling. Walking in rice paddies is also a wonderful experience. Bali is one of the very few places of Indonesia dominated by the Hindus, who celebrate all Hindu festivals and have retained all Hindu traditions. Coming to the food options, Bali offers all cuisine right from Indian, Chinese, Malaysian, Moroccan and even Mexican. One should not forget to try the sumptuous Grilled Lobsters especially served with a typical Balinese sauce. For those who are not so adventurous type and like being spoilt and pampered, then Bali is where you should head to. Apart from the beautiful resorts like any other beach destination, you will also find beach villas. These villas are well equipped, some with private pool, trained cooks, maids and houseboys, who just don’t leave any effort to pamper you. Hiring a private villa could be a much cheaper and cozier experience for those who are on a honeymoon and need some intimacy. Just like Mauritius and Maldives, getting married in Bali is also possible. We hope that we have truly tried to inspire our readers to pack their bags and head to Bali, and if you indeed enjoyed reading about Bali, then make sure to log on to www.travelonguide.com for more exotic locations. Yellowstone was made a national park in March of 1872. Yellowstone is mainly located in Wyoming though parts of the park are in Montana and Idaho. The park is widely known for the geothermal activity and the wildlife that use the park as their homes. Yellowstone Park is made up approximately 80% forest and the rest of the land area is grassland. The park is larger than Rhode Island and Delaware combined together. Yellowstone National Park covers an area of about 3,472 square miles. This area is made up of lakes, canyons, mountain ranges, and rivers. Yellowstone Lake is one of the highest altitude lakes. The lake’s elevation is 7,733 above sea level. The lake is approximately 87,040 acres in all and is close to 400 hundred feet deep. It also has around 110 miles of shoreline for vacationers and wildlife to enjoy. It’s centered on top of the largest supervolcano on the continent called the Yellowstone Caldera. 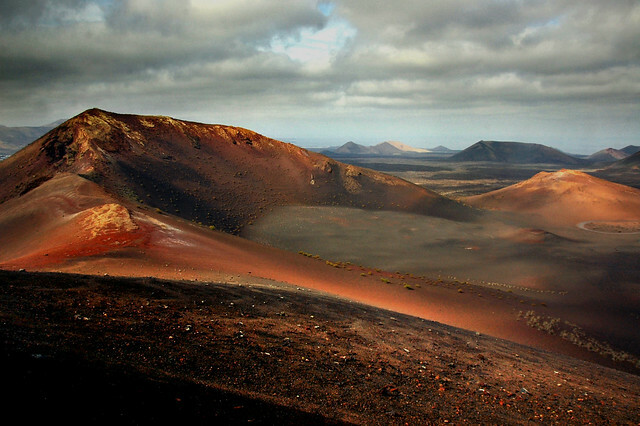 The volcano is considered to be active because of the several eruptions over the last two million years. Approximately half of the world’s geothermal energy is located in Yellowstone because of the ongoing volcanic activity. Yellowstone is covered with lava rock from lava flows that happened hundreds of year ago. The Continental Divide runs through the southwestern part of the park. This is a topographic feature that separates the Pacific and Atlantic Oceans water drainage. Some of the origins of the river such as Yellowstone and Snake rivers are near each other but due to the divide, the Snake River drains into the Pacific Ocean while the Yellowstone River drains into the Atlantic Ocean thru the Gulf of Mexico. Yellowstone National Park sits in the Yellowstone Plateau region and is surrounded by mountain ranges on all four sides. The altitude of the park is around 8,000 feet above sea level. The surrounding mountain ranges elevation is anywhere from 9,000 feet to 11,000 feet above sea level. The most visited and prominent mountain peak in the park is Mount Washburn that sits at 10, 243 feet above sea level. Yellowstone National park is thought to be one of the few remaining intact ecosystems other than in the state of Alaska. The land is virtually untouched by commercialization and with pristine land for the animals to thrive on is a perfect habitat. There are still inhabitants that lived in the region when first explored by white exploration teams. Agios Konstantinos is a destination situated within central Greece, within the region of Attica, to the north of Cape Sounion, and at about 50 kilometers from the southern side of Athens. This spot, also known as Konstandinos or Ayios Konstandino, was formerly called Kamariza and then Maronia in ancient times. Those tourists who visit this region of Greece should try to stop at this place and enjoy its beautiful environment since it would allow them to relax and renew their energies. Agios Konstantinos has a very small amount of inhabitants spread throughout its territory. This destination is very appealing and interesting due to its general characteristics, the landscapes it offers, the lifestyle of its inhabitants, the natural elements it has, the amazing landscapes surrounded by mountains, and several other reasons which cause it to be a unique spot. The municipality of Agios Konstantinos counts with an important amount of mountains in such a way that it is surrounded by mountainous landscapes at each one of its borders. Besides these mountains and rocks, this spot also counts with important extensions of grasslands and beautiful green areas in which tourists can breathe amazing fresh air and observe beautiful landscapes. The economy of Agios Konstantinos is mainly based on agriculture, mineral rock derivates, and farm products. This spot shows many agricultural plantations and farms spread throughout its entire territory and which provide it with a very special and charming appearance. Traditions and countryside lifestyle predominate in this area in such a way that visitors could meet many of the same cultural aspects it had centuries ago. 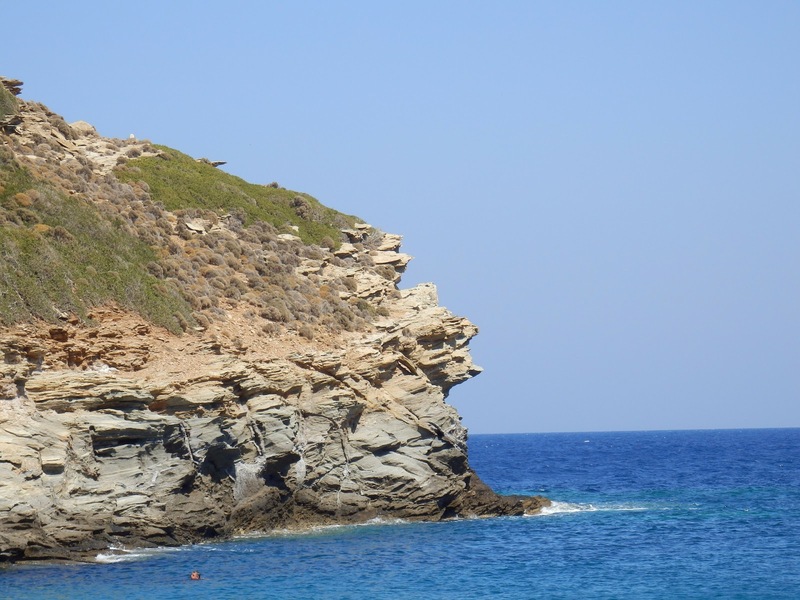 The municipality of Agios Konstantinos is also famous by the mineral rocks that can be found in it. This area is rich in mineral rocks such as chalcoalumite, austinite, adamite, and azurite among others. These minerals can be found at some points in Agios Konstantinos as well as towards Lavrio, an interesting neighboring town. Those tourists who visit Lavrio should always try to meet Agios Konstantinos as well and relax surrounded by a very attractive natural environment which combines mountains, green areas, and traditions in a very peculiar way. One of the most important stops you may have on a tour is the La Louvre. Take a walk around the outside and you will see as much as you would when going inside. Notice the fountain standing at the front entrance with the walkway going around it. Inside the La Louvre, you will be able to see the one and only La Pyramid. Check out the shape. At night when it is, all lit up you will see the beauty you will never forget. Looking out of the Louvre you can see the Buran Statues in the Paris Royal. Visit the Palais Royal and see most beautiful fountain Le Jardin des Tuileries. The Place de la Concorde is in the same area. Visit them at night and see the beautiful lighthouses and fountains all around them. Another great place to go is the Les Champs-Elysees at night where an archway stands with trees lining both sides of the street to the entrance; ride a train or drive through the arch. Want to see the famous Montmartre Cabaret of Moulin Rouge. It is a huge building with the great windmill sitting on the rood. You can also visit Paris from the sky by flying over the Seine River. See the fantastic view over the rooftops. Take a boat ride down the River and see the Passer Elle des Arts known as the Lover’s meeting place. The view down the River is out of this world with everything lit up drawing everyone’s attention. The Eiffel tower is located on the Seine River as well and when passing you can enjoy the many fountains all around it. When taking your tour down the river noticed the water level, it is 30 feet below the street. The river is lined with walls of stone with ivy growing through in places; the walls have iron rings hanging on the walls to represent the past ages. On each side of the river, it has many trees and shrubs and up on the street more trees looking over the river. There are 32 bridges crossing the Seine River with old buildings and riverboats between them. Look at the water while taking your tour down the river and notice the beautiful colors coming from the buildings and trees with some gardens here and there. Have you ever wanted to see the L’Hotel de Cluny in the Notre Dame area? The hotel was built to house the monks when coming from Cluny to visit the capital. The L’Hotel de Cluny was turned into a museum in 1844 representing Medieval France. New York City is perhaps the busiest city in the world. The people here are always running to and fro from work to home to meeting to school functions for their children to dinner you name it and most people in this city are constantly on the move. New Yorkers work hard and they play hard and for the most part, you will not find a city full of couch potatoes. As a result of the constant movement and often constant stress of keeping pace in the city that never sleeps there is a huge demand for spas, massages, and a service industry that is devoted to helping these overworked, overplayed, and overstressed people learn to relax. Of course, there are other industries in New York City that are equally dedicated to keeping them awake and alert. 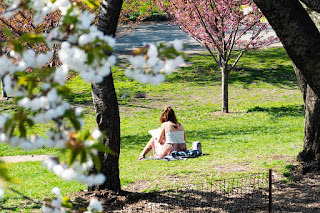 If relaxation is the order of the day you will be glad to know that there is a spa on almost every corner in New York City and if your vacation is one in which you wish to have a relaxing time of things then you may want to select a hotel with a spa on the premises and never walk outside. I can't imagine being in New York City and staying in my hotel the entire time but for some getting away is the only way they'll be able to leave work and responsibilities behind in order to truly relax and receive the full benefits of a spa treatment. In addition to the many spas that are available there are also gyms and sports complexes that will allow you to work out your frustrations or aggressions through physical exertion in addition to the many parks scattered throughout the city that offer places to walk, run, jog, ride bikes, roller blade, and participate in dozens of other physical activities as well. If the physical activity and the spa treatment don't help you reach your relaxation goals, then perhaps an evening out is in order. You will find all kinds of ways to spend your evenings in New York City. There are bars, lounges, comedy clubs, dance clubs, and simple hotel bars where you can have a nice drink or two to lighten your mood and then head back up to your room without the worry of how you're going to get back to your room. Of course, many believe that laughter without a doubt is the best medicine for whatever might ail you so the many comedy clubs around New York might be the best place to look for a night of fun and relaxation. Chances are if you're standing in New York City, pretty much anywhere you are kind of near a comedy club. If there's doubt I can almost guarantee that a bellhop or concierge might be able to help you find one close by and rather quickly. Then, of course, there's the last resort. Well for some, for me it's the first thought that comes to mind for relaxation: hot tub and massage. Not necessarily in that order but either or both is a great way to spend the evening. If you are fortunate enough to have a loved one along with you it is a great idea to share both the hot tub and the massage. While giving massages to each other is nice, there is something deliciously sinful about lying beside each other while receiving the royal treatment. You know you will be heading back to reality soon so enjoy this while you can. 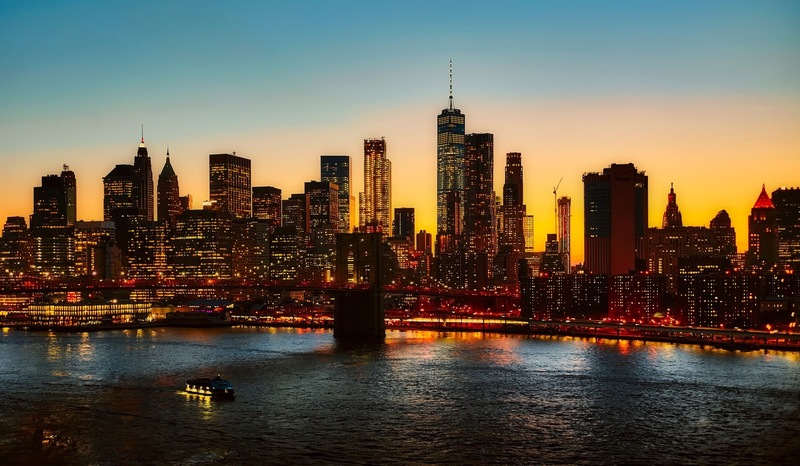 If you've never been to New York City, you may be surprised to know that there is so much more to this great city than skyscrapers, lots of people, and really fantastic parades. While it is, in fact, the wonderful people of this city that make it the exciting place to visit that it has become, there is so much more to this city than what you'll see on the television shows and in the news. New York City is a city full of exciting people from all kinds of backgrounds with all kinds of hopes and dreams of the future and experiences of the past. You will find artwork here like few other places in the world, you will see more nature here than in most big cities around the world, and you will enjoy seeing more cultures and nationalities represented in the space of an hour in this city than most people who live elsewhere experience in their entire lives. New York City is the true melting pot of the world and the rest of America is simply trying to catch up. You will find music and art that is representative of the many cultures that call this grand city home. You will experience the sights, sounds, and scents of worlds that are exotic and foreign simply by walking down neighbourhood streets where people are cooking dinner at night. You will hear more languages in one day than you probably ever dreamed imagine and while you may stand around with sensory overload thinking anyone would be crazy to live like this, most of them are looking at you thinking you'd be crazy to live anywhere else. This is perhaps the greatest thing about visiting New York City. You get to experience for a moment the excitement that comes from living in this fascinating city. You get to understand what it is like for those living there. And you get to understand first hand what it is like to be alone in a city of millions and yet by being there, being one of them, belonging somehow to this giant community of strangers from different cultures, different pasts, and different futures. Most people visit New York with certain preconceived ideas and certain goals for their visits. Hopefully, the preconceived ideas will all be challenged and the plans that you have made are flexible. There is so much to do and see that you could go one block each way from your hotel and probably notice something new each and every single time you went by. My point in this is that you need to leave time to experience the wonderful things you won't discover in the guidebooks. There is only so much of this city that any one person could possibly find to write about. I can imagine that there are New Yorkers that could eat in a different restaurant each and every day without eating in the same one twice in five or ten years. I find it hard to believe that a guidebook is going to be able to hold everything you might find interesting in this city and if you spend your entire visit with your head in the book you might miss something truly worthwhile. That being said, it is a good idea to make plans according to your budget and the things you wish to see, I'm just urging you to leave room on that schedule for a change. The Statue of Liberty is great, but it takes a while to get there and back. Could it be that you take some photos, buy some postcards and do two or three other activities that you could have enjoyed in the space of time it takes to get there and back? Plans are made to change whenever possible-especially while on vacation. I seriously recommend that you reserve two hours minimum each day to do something that you discovered rather than something you planned. This article is patterned for all you history buffs with insight that opens your mind to all areas of life, including visiting the grave. If you are interested in learning and reliving Paris’s uncivilized history, and don’t mind visiting the dead, you must check out Paris’s Les Catacombs. The tunnels are not suited for everyone, only for those with an open mind to see what it is like to walk in the grave and visit the dead. The tunnels have a disturbing, yet the unique pattern of bones and skulls, fashioned to bring the dead back to life. 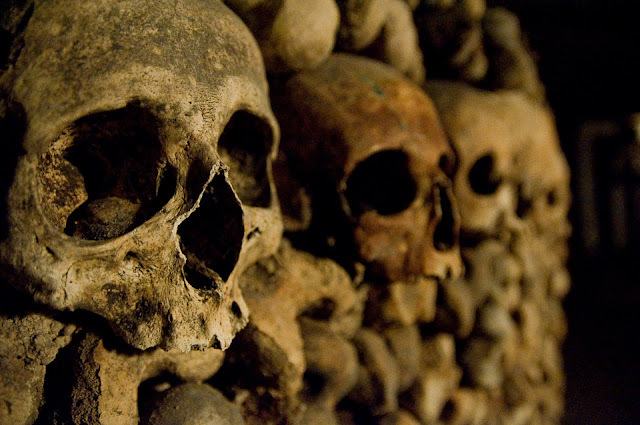 Some people feel that visiting Les-Catacombs in Paris is a waste of time. Yet, the Opinionists fail to realize that history buffs see things in a new light. At Les-Catacombs, you will pay an entry fee of five French dollars. Areas around Paris, during the late 1800s, discouraged the average person, since its history of overpopulated cemeteries and deceased souls made the area, one of Paris’s uncivilized environments. The area was filled with filth. For this reason, the councils of the Parisians transferred the deceased to the tunnels of Les-Catacombs. In this, tunnel the bones of millions of dead souls rest. Parisian counsels of France transferred the bones, piling them in various areas around the tunnel. The skull of these dead people is piled in areas of the tunnel, and put together in reverse/front fashion. The bones are disturbing to many since these dead peoples structures were fashioned in a way that it appears as faces and transverse structures, i.e. in the shape of crosses. Throughout the tunnels are spiral stairways. Once you begin walking down the stairs, you will spot eye sockets of the deceased. The tunnels become present as you continue down the stairs. As you continue down the stairs and into the dirt tunnels, you are approaching the graves of many deceased souls, which at this point you cannot turn back. Since underground tunnels and graves are chilling you, want to make sure that you wear proper attire to keep you warm. Keep in mind you will get the residue of the deceased on you. If this bothers you, perhaps you can wear attire that shields your clothes and flesh. Throughout the walk, you will notice the walls. The walls are filled with plagues, yet observers say that the information is written in French. This makes sense since the tunnels were designed in the 1800s. In view of the fact, you may want to learn a bit of French before visiting the tunnel. Ultimately, if you have a French interpreting, or friend who speaks French, take him/her with you. NOTE: Because people have stolen bones from the tunnels, as you return to the starting point, the staff will inspect your bags. Les-Catacombs is not intended for people who fear closed areas, underground arenas, etc. If you have claustrophobia, perhaps you would enjoy visiting other attractions in Paris instead. Children into history, or intending to prepare a future in science, etc, may enjoy this experience, however, most will feel threatened by the environment. Take care to consider your children’s likes, explain first to them what they will visit, and ask the children if this is something they want to see. The experience for children could be a learning experience that opens their eyes to the reality of death and graves. If your children cannot handle this, however, or have emotional reactions easily, visit other attractions in Paris. Where is Les-Catacombs located in France? Les-Catacombs is at the first Place, Denfert-Rochereau. The tunnels are open Tuesday through Friday between 2pm and 4pm. On Saturday and Sunday, the tunnel is open from 2 pm to 4 pm also. Visiting Paris gives you many options to consider. Most tours will guide you through the history of Paris. Tours are known to take tourist around Paris during the day and night hours respectively. Some tour guides offer you pick up and drop off at your hotel and others will just pick you up. The length of time it takes varies depending on the tour and how much time you have. There are many choices to choose from. How about a city tour taking up 3 ½ hours of your time with a guide and a minibus to take you to see the most major sites of Paris. As you come upon these sites your guide with telling you the history of each area you visit, making it an enjoyable and a learning experience for everyone. Don’t have 3 ½ hours then take a shorter tour of the city. See the must-see spots in the capital city of France in 2 hours instead. The trip will be shorter but just as enjoyable. Have a little more time than 2 or 3 hours to tour the city. How about seeing the entire major spots of the city and ends your tour with lunch at the Eiffel tower. The bus will pick you up at your hotel but your return will be on your own. You’ll be able to see monuments, landmarks with the learning of history behind each one from your guide. End your tour at the Eiffel Tower for lunch. Because you have come here on a guided tour, there is no waiting at the elevator to take you to the restaurant and a table will be waiting for you. In Paris, you will enjoy sending a postcard back home with a stamp of the Eiffel Tower printed on the stamp. Tours can be chosen in many different packages. 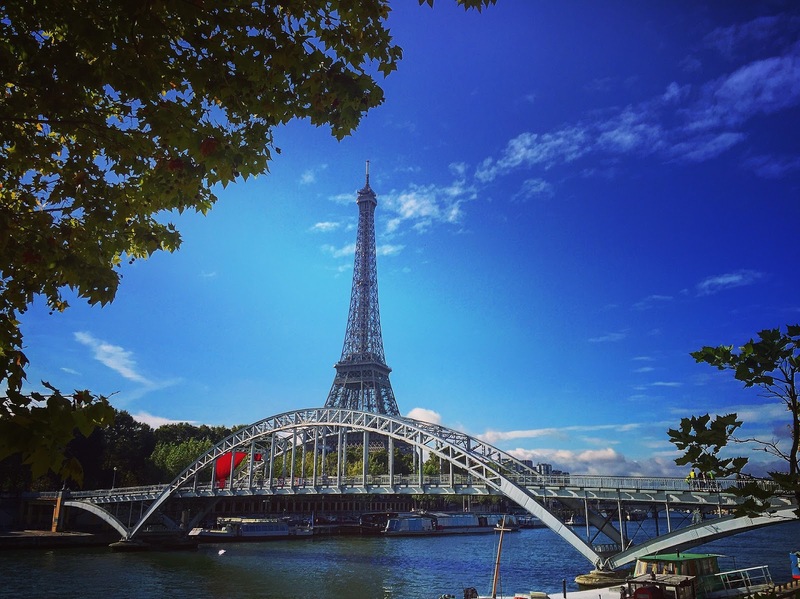 Take a tour of the city and a short cruise down the Seine River. This package will only take 2 hours of your time. Want to make a day of it. Try the city tour, lunch and cruise all in one package. A minibus will pick you up at your hotel and then there is a 2-hour orientation of the hot spots in the city of Paris. 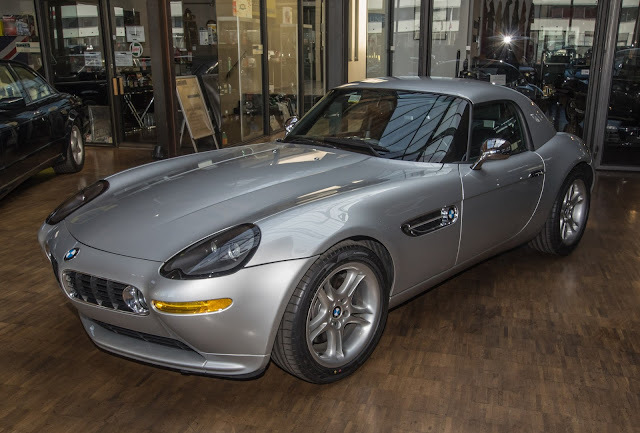 Go right on your tour of the city to the Seine River for more excitement on your cruise. You’ll be riding down the river in a glassed-in boat making the perfect view for everyone aboard. Classic French music will be played from time to time for the relaxed mood while your having your lunch. Upon your return to the Eiffel Tower, you’ll go around the Statue of Liberty. If you feel adventurous why not have lunch at the Eiffel Tower followed by a Cruise down the Seine River. Sounds fun doesn’t it. The bus will pick you up at the hotel with this package as well and give you a 2 hours ride around the city. The Eiffel Tower is the next stop for lunch with no waiting in line for the elevator or your table everything will be waiting for you upon your arrival. Enjoy your view and relax the cruise is about to start. Just walk across the street and aboard the boat for more fun and relaxation. You’ll have music to listen to as you ride down the river and the education is the greatest. Enjoy this tour and make your dreams come true. Want to visit the largest museum in the world? Take the Louvre guided tour package. Here you’ll see many painting beginning from the 16th century. Louvre is known as the Palace of the kings of France. The Louvre has 800 years of history established in 1793. Have fun with your tour. Are you interested in taking an RV trip? If you are, you will want to take the time to properly and fully plan for and prepare for your upcoming trip. As nice as it is to hear that should properly plan for and prepare for your upcoming RV trip, you may be curious as to what the importance of doing so is. After all, you may only be interested in visiting the next town over for a day or two. Even in these types of situations, with short RV trips, it is still important to properly plan and prepare. One of the many reasons why you are encouraged to properly plan for and prepare for your upcoming RV trip, no matter where you are going or for how long, is because of safety. If your motor home breaks down, will you be able to get assistance right away? Those who own their own RVs are encouraged in invest in RV insurance or at least roadside assistance. For those renting RVs, it is important to determine, ahead of time, if roadside assistance is included in rental fees. When traveling, it is always best to prepare for the worst. Another reason why you should properly plan and prepare for your upcoming RV trip is for your loved ones. When you take the time to do the proper amount of planning and preparation, your loved ones can take comfort in knowing that you are safe and out of harm's way. This is ideal if you have children who will be staying behind. In fact, you may want to create a mini itinerary for yourself to leave behind; include what stops you plan to make, when you will check-in, as well as when you will return. Perhaps, the greatest reason why you should take the time to properly plan for and prepare for an upcoming RV trip is so that you can have a good time. If your planning and preparation are rushed, you may find yourself missing important supplies. For example, what would happen when you went to take a shower and realized that you forgot the towels, and so forth? Not only can this result in additional expenses on the road, but it is also a huge inconvenience. In conjunction with improving your overall satisfaction, proper planning, and preparation, for an RV trip, reduce the amount of worry or concern you may have about doing so. For example, by creating a checklist in advance and going through that checklist before your trip, you can make sure that you have “all of your ducks in a row.” This is likely to provide you with a sense of comfort and security, which can help improve your chances of having a truly fun and memorable RV trip. As highlighted above, there are a number of reasons why you should take the time to properly plan and prepare for your next RV trip. The good news is that it is relatively easy to properly plan and prepare for an upcoming RV trip. For example, make a checklist of what items you would like to pack, which items you will need to buy, stops you would like to make along the way, and so forth. Traveling by RV can be fun and exciting, but it can also be dangerous and frustrating if the proper steps are not first taken. 2. Flower Market in Ille de la Cite — There is no better way to make your home feel like yours than with fresh flowers purchased along the Seine. 4. Roam Montmartre — Yes, it's touristy and by some standards overrated but it's still Paris at its best so wander and enjoy the Sacre Coeur. 5. Six Feet Under — Bring flowers and pay respects to legendary Americans who called Paris home or in Jim Morrison's case died in Paris. The most famous cemetery in the world Pere Lachaise is worth the visit. Greece is a country chosen by the Gods Offering its visitors spectacular beaches, interesting villages, an abundance of history, as well as flowing green country sides, Greece is an ideal destination for a wide variety of groups. Greece boasts one of the world largest and most beautiful coastlines and over 2000 islands to choose from. Therefore, chartering your own private, crewed yacht is quite simply one of the best ways to visit this exciting destination. With numerous luxury yachts adorning the perfectly blue, crystal-clear waters off the coastline of Greece, Yacht Charter trips in Greece has turned out to be one of the favorite past times of the country and an awaiting adventure for its many visitors. As you island hop your way through the islands of Greece, a wide variety of available activities and land base excursions are at your disposal. Drop anchor for a while and wander the winding cobbled streets, experience a Greek coffee or a taste of sizzling grilled octopus at one of the many small island taverns, visit one of the many beautiful beaches, or take a cooling swim in the sparkling sea. A Yacht Charter in Greece is not your ordinary vacation it a trip of a life time and an experience that is sure to be filled with adventure, history and fun. For our clients interested in Yachting Vacations in Greece, we offer quality yachts, professional crews, friendly service, and 12 years of hands on experience owning and operating our own charter yachts, at no additional cost to our clients. We make it our business to know the yachts, the crews, and our destinations we recommend first-hand. Therefore, we recently attended the charter yacht show in Poros, Greece where we had the opportunity to step aboard classic Sailing Yachts, stunning Motor Sailers and sleek Power Yachts galore. In addition, we took the opportunity to explore the most popular grouping of islands in Greece, the Cyclades, which include well-known Mykonos and Santorini. These are the islands that typify Greece with their white washed villages, beautiful beaches, and cosmopolitan nightlife. Other popular island groupings in Greece include the Ionian, the Argo-Saronic and the Dedoconese. The Argo-Saronic Islands, with their close proximity to Athens have a rich history. The picturesque harbors and cobbled streets of Aegina, Poros and car-free Ydra are still lined with Neo-Classical mansions of a time gone by. The Ionian Islands, which lie off the west coast of mainland Greece, are the greenest of the island groups, less visited than the popular Cyclades islands, and therefore a "crew favorite" among the yachts of Greece. These islands, which include Corfu and Ithaca, enjoy crystal-clear seas, superb beaches and inviting towns and villages. The Dodecanese Islands are situated at the most eastern part of Greece, along the West coast of Turkey. These islands, including Rhodes and Kos, offer their visitors a wonderful blend of architectural styles with both eastern and western influences. Discover traditional villages, crystal clear waters, splendid beaches, historical sights, and an exciting nightlife. In addition to destination choices in Greece, there are various types of yachts available for Yacht Charters in Greece, including Monohulls, Motor Sailers and Power Yachts. Monohulls are the perfect choice for the traditionalist as these yachts provides a classic sailing experience. Guests aboard this style of yacht will experience the exhilarating thrill of sailing as well as the traditional features of these yachts. Motor Sailers are a traditional yacht style found in Greece. These yachts typically use their engines in tandem with their sails. This would be an excellent choice for those wishing to explore the islands of Greece in luxury while enjoying the character and exhilaration found onboard a sailing yacht. Power Yachts are a suitable choice for those interested in greater mobility in the islands. This type of yacht is a popular choice in Greece as the distances between many islands are greater than those found in the Caribbean. This category additionally features yachts of over 100 feet in length, which could be individually classified as "Mega Yachts". This type of yacht is suited to the high-end customer interested in world-class amenities, cuisine and service while traveling the islands of Greece aboard a private, luxury yacht.